All the fresh news are on our Facebook page here. 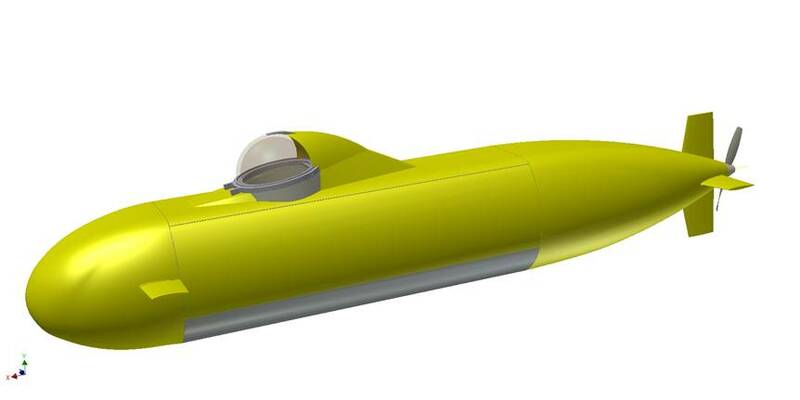 The big exploration dive between Plymouth and Saint-Malo was planned this summer. However, due to some technical issues, we made the decision to postpone it to next year. 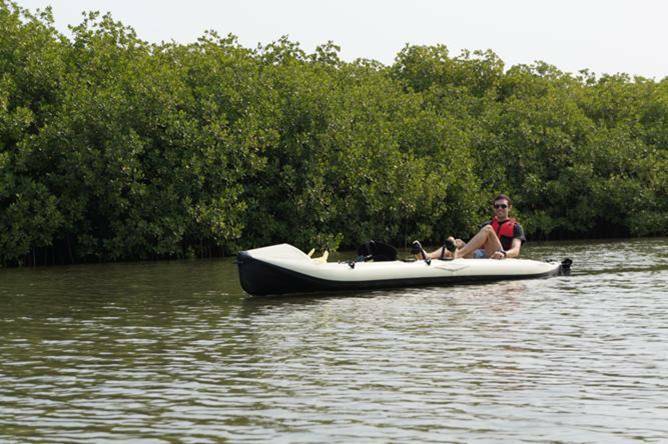 We had thoroughly planned this expedition for months, so what happened? 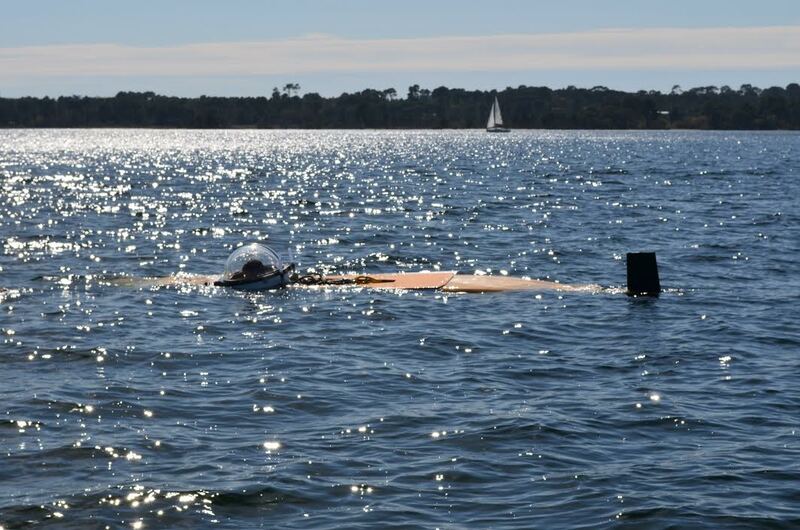 One of the two acoustic pinger detectors we had rented for the two surface boats to track the submarine stopped working after a few days of tests. Whilst we were reconfiguring our surface tracking protocols, we noticed another issue. Our batteries, which should be gas tight, started emitting a bit of hydrogen gas for an unknown reason, which fooled a carbon monoxide sensor we had rented to track the slow accumulation and filtering of this highly toxic gas. We spent another two days to investigate this detection and reduce hydrogen emission, but time was running out to arrive in Saint-Malo with slow tide currents. So we made the prudent choice to postpone this big dive to next year. In the mean time, we made a few nice dives around Plymouth area, to get some more piloting experience on the submarine, which behaves perfectly! Here is the video of one of these dives. A major milestone was reached on Friday July 1st. Without anyone inside, the pressure resistant hull was lowered in the sea down to more than 250 meters water depth, for one hour. With the help of the Coquimar boat, and acceptance from authorities despite our late request. The result: no implosion, no leak. 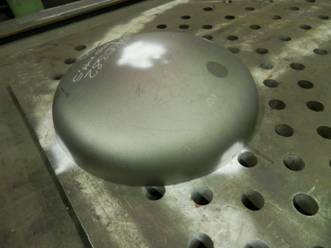 This test was key to validate the design and fabrication of the hull. It will allow us to dive down to 100 meters water depth in serenity. 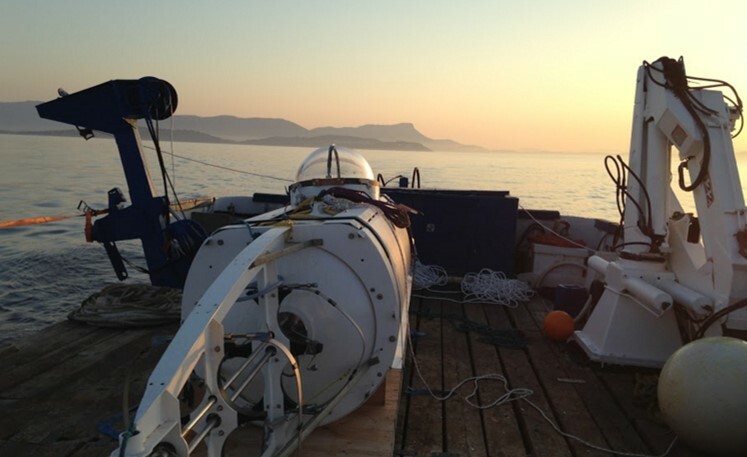 On May 15th we performed a another set of tests at Biscarosse, staying nearly 24 hours in the submarine. We could check our cruising speed, in line with expectations. Going down to 10 meters water depth, we could also test the behavior of the submarine and its piloting. After some intense days of preparation the big moment arrives with the launching of the sub and the first shallow dives, with TV crews filming. Hopefully it all goes well. 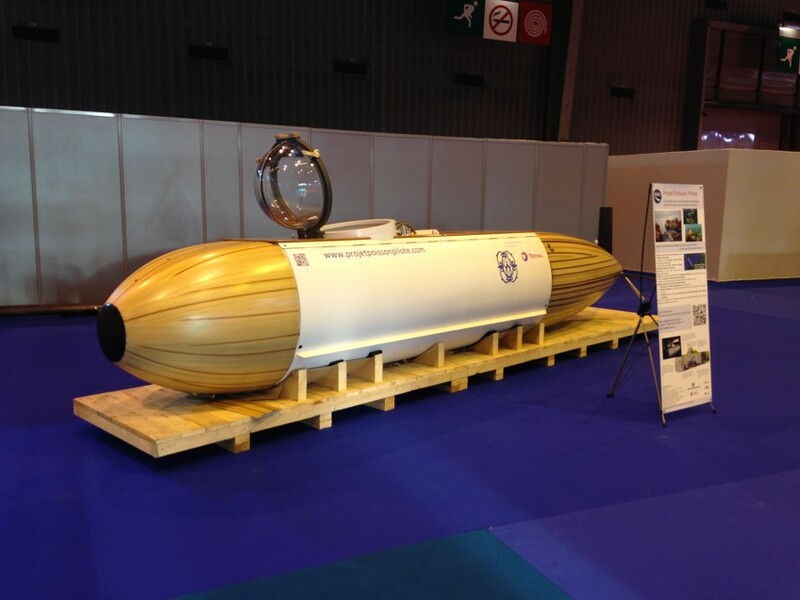 The composite shell being finished, after an exhibition at our sponsor Total early December, we got the opportunity to present the sub at the Nautic in Paris, with lots of visits, positive contacts, and some articles in the local press and radio. Here are the forward and aft drive pedal sets. 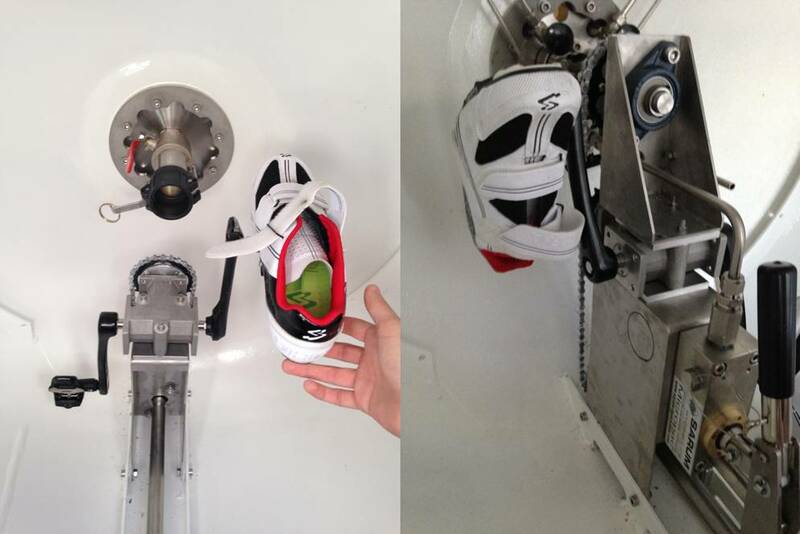 We tested it this week end, there are only a cm or two between our feet and the hull. Our facebook page gets all the updates and our website had not been updated for a while. So here is the sub as it is today. Not quite finished. Inside, we will install the drive train and all piping next month. 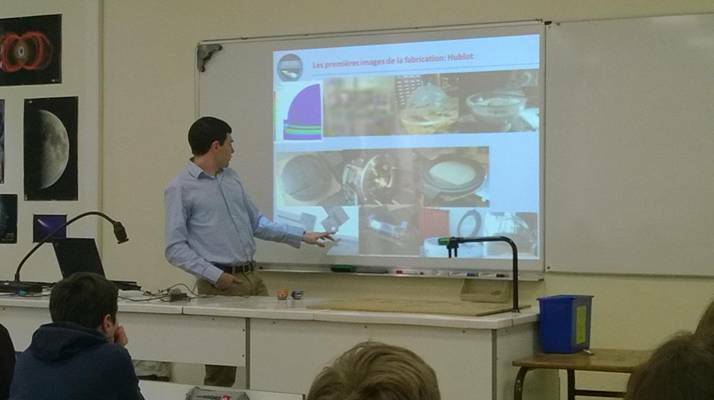 This Friday, I could come back to the Collège Charcot in Saint Malo, and meet again the students of the 3e option physique class. 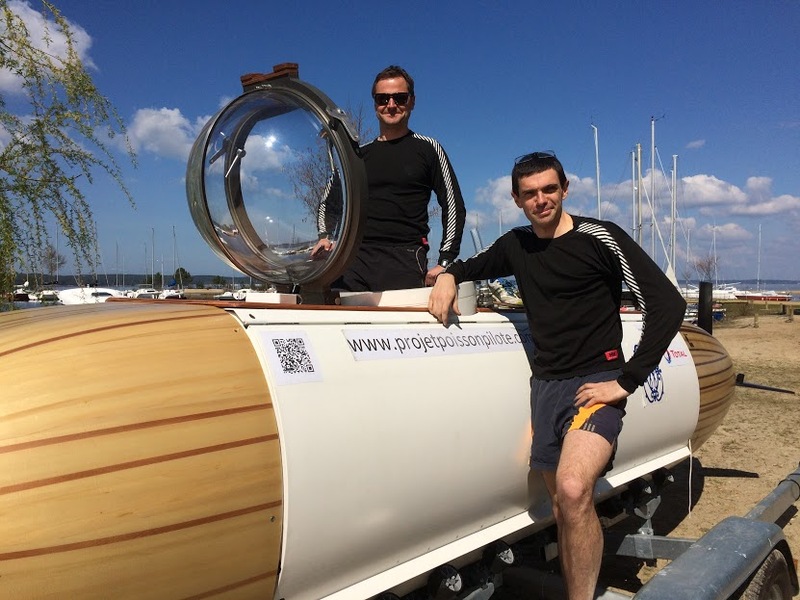 The objective was to give some news of the project, and also to tell them how the basic laws of physics could have an influence on the design of the sub its size, speed, pedalling strategy, features. I talked a bit too long, so I need to come back to give more time to exchange. Notably with more inspiring new pictures! This week, we went to Emile van Essen in Amsterdam to check out the brand new hull of our sub. Emile did an incredible work. Paul Moorhouse, the designer of the sub was here too, as well as Charles Balsan representing our partner Wendel Participations. We had a couple of work sessions about the next steps of the design. Great and productive days. For the first time, we could get a feel for the available living space in the sub and successfully test switching seats between the pilot and pedaller seats. 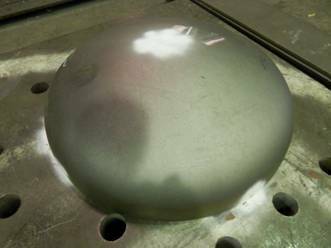 You will have recognized the main hull cylinder, the area around the hatch, and the acrylic sheets, one of which will be pressed into the transparent dome. The final color has yet to be decided. 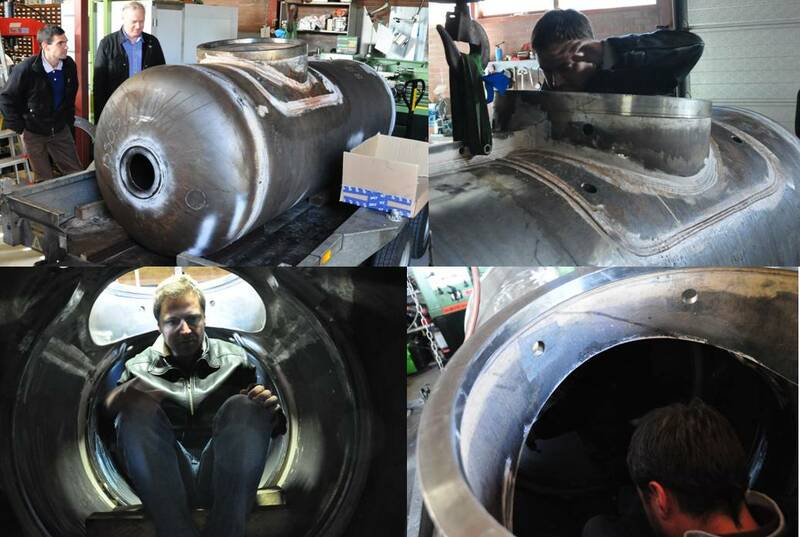 12/02/2014 - The first parts of the submarine! 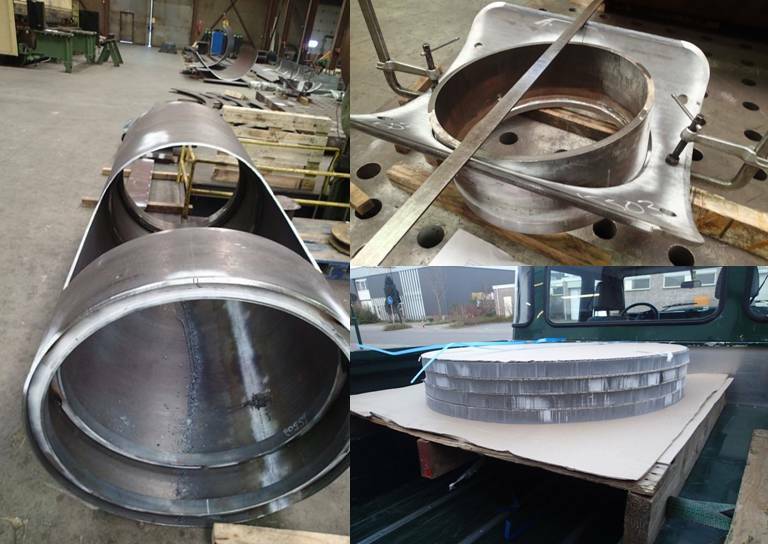 Hot pressed, with a diameter of 1m and thickness around 1cm, they will be welded to the 2.5m long main cylindrical part of the hull. 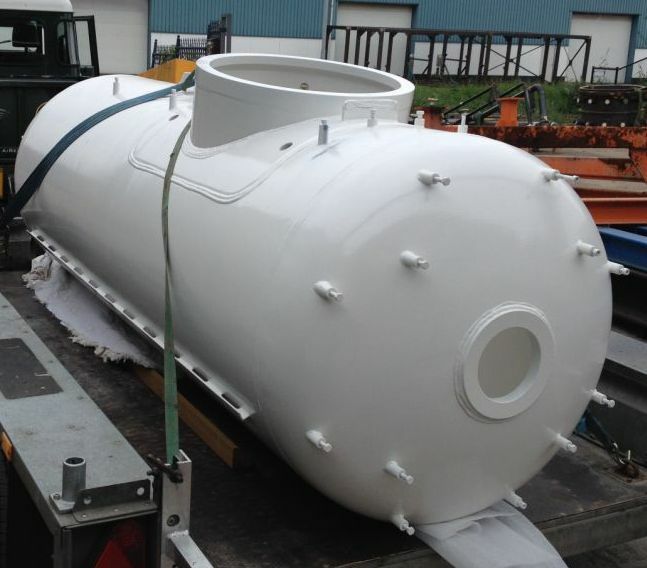 The whole thing will only give just over 2 cubic meters of space to the pilots and all the equipment for a week! As we were starting to be submerged with press articles -in French so far- about the project, we thought we should list them under a new page On en parle. As a complement to regular cyling, here is a good way we found for the physical prep! The position and level of effort (100-150W) are comparable to those inside the sub. Plus, time flies on this little boat: we have already pedaled non stop for a full day with no issue. 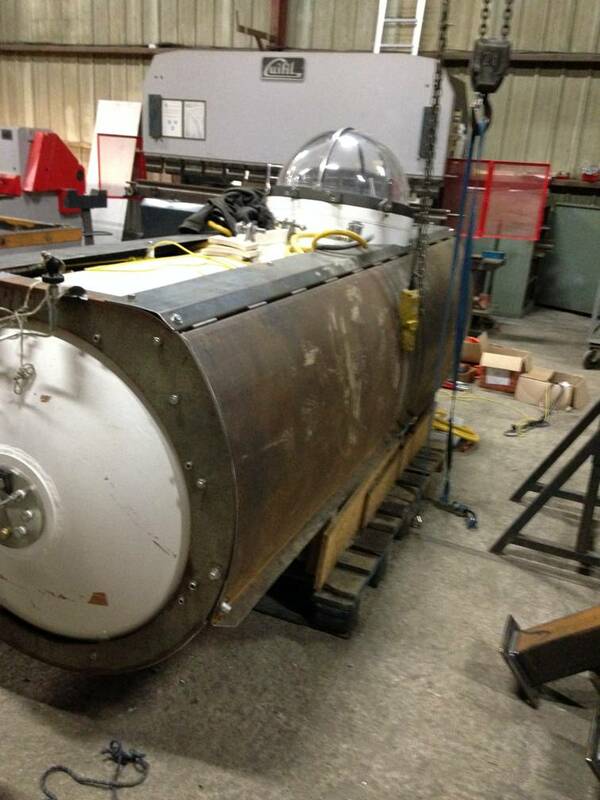 Here is the thrilling story of the Alicia submersible, built in Plymouth ten years ago. You will notice that the Pilot Fish Project is not the first challenge taken on by Paul, Alicia's designer! It will be built in the Nederlands under the supervision of AiResearch and Emile Van Essen, who already have 3 subs on their belt. We are pleased and thankful to welcome a new sponsor: Wendel Participations, a family holding company whose history started over 300 years ago in an eastern France foundry. Now a long term investor, the group values spirit of entreprise, search for performance and responsibility. Three values our project has in the cross hairs! What are you going to eat in the sub? How will you be clothed? We will come back to this, these seemingly benign subjects actually led us to dig up some scientific litterature about space flight and astronauts suits. The Maison des Océans in Paris and the Musée océanographique of Monaco will help us share our adventure and its results with the public. The marine station of Dinard of the Museum national d'histoire Naturelle and its director Eric Feunteun, have proposed their help to plan the scientific programme. In an entirely different domain, Manu Métal proposes their expertise for specific metallic works. All this is on our Partners page, where you will also enjoy, if you have not seen the video yet, watching Paul Moorhouse and John Ramsay, our partners in Plymouth, talking about the many subs they have worked on. The article (in French only, sorry) can be accessed here. 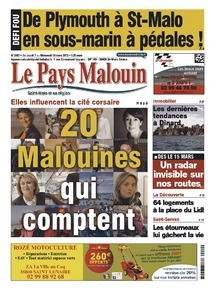 07/03/2013 - The Project on the front page of Pays Malouin, St Malo's weekly newspaper! You will find the article in French here.